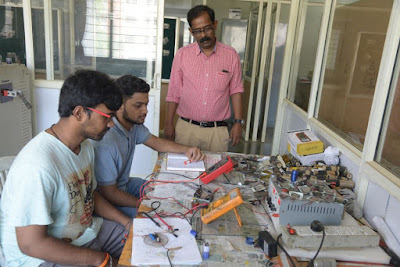 The project by four students—Singa Tharun Kumar Reddy (21), M Akshay Shenoy (21), Manoj Kumar D (21) and Manvir Singh (21) is a unique energy storage device, a 3 volts battery that can charge in 10 seconds. It is built with nanotechnology and all the materials used are eco-friendly. It provides better energy, power applications and lightweight properties with the help of nanoparticles. This small battery can be arranged in series to get higher voltages like 12V, 24V so on. This project was a year and a half in making. 5000 prototypes later, the group found the final product. A similar project was undertaken earlier but it was priced at Rs 300 per battery. However, this group of students have priced the battery at Rs 50 to 100, which are efficient and lightweight. This battery can be used in electric vehicles, regenerative braking system and energy suspension to name a few.